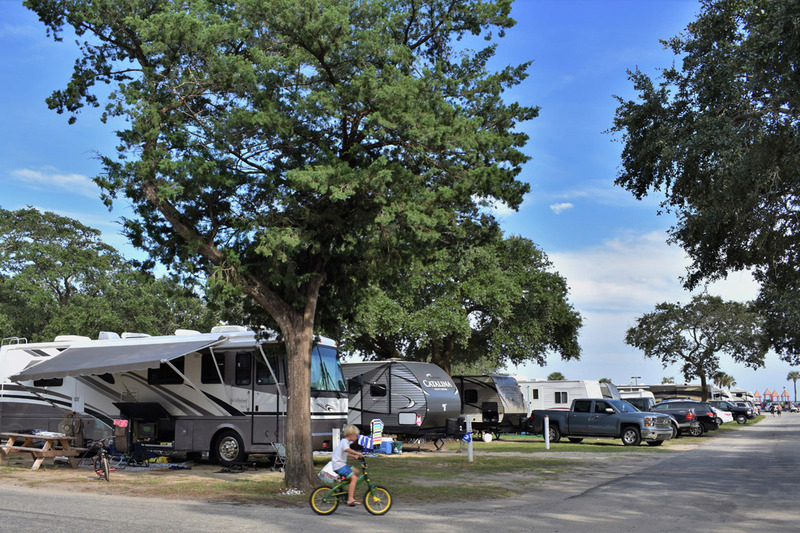 From the basic tent to today’s most modern and luxurious RV, Lakewood Camping Resort has the perfect site to fit your needs. 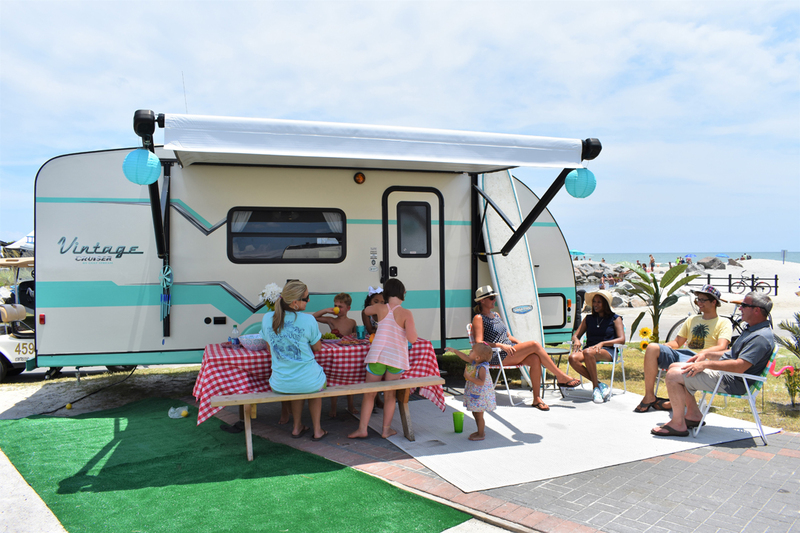 We have approximately 1,300 sites that include Oceanfront sites, Lakefront sites, open Sunny sites, or nice Shady sites. 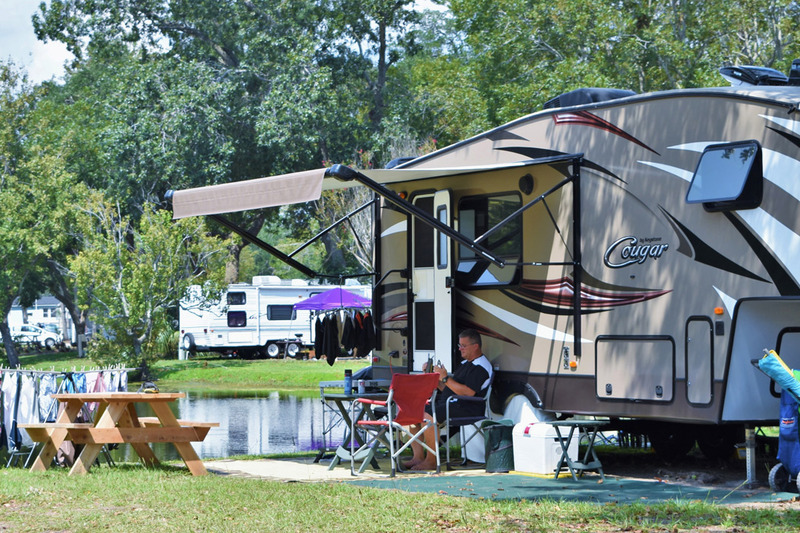 All sites are Full Hookup sites (20, 30, and 50 amp service), with Free WiFi service, Free Cable service with 62 channels (Spectrum TV), a picnic table, Water, Sewer, and daily on-site trash removal service. 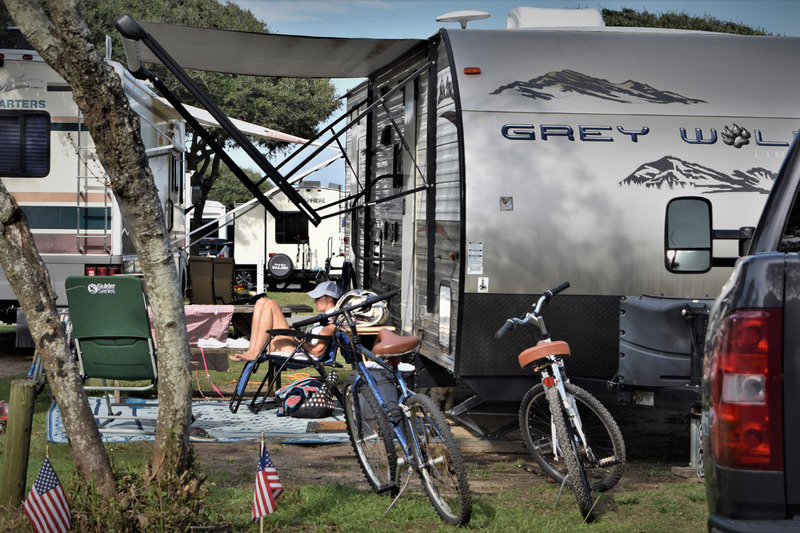 Our Campsites are Pet Friendly! Unfortunately, however, we only allow Non-Aggressive Breeds. (No Akita’s, Chow Chows, Rottweilers, Doberman Pinschers, Pit Bulls, or Dalmatians). For more information about Pets at Lakewood, please visit our Pet Polices page under rules and Regulations.